A busy lifestyle, neglectful habits, and laziness can sometimes get in the way of a healthy dental care routine. While people usually take tooth care as a low level priority, it sometimes leads to serious problems that affect daily living. A good oral hygiene is the best way to eliminate long term problems. It is the best defender against bigger problems that ultimately affects your appearance and confidence. A good dental care routine should be an integral part of your normal activities. One of the primary things you need to understand is that brushing is the primary activity that promotes a healthy tooth. It prevents cavities from forming and removes food particles that would eventually collect. If possible, brushing after every meal is the best way to go about it or brushing 2x a day can do. 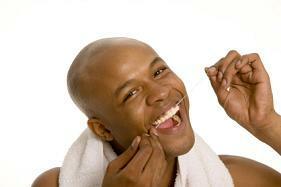 Flossing is an effective way of getting stuck food fragments in between the teeth. As brushing only cleans reachable surface, hard to reach areas are cleaned by flossing, which creates an ‘all over' clean mouth. Cleaning the tongue is something most people overlook. Halitosis or bad breath, which generally stems from bacteria forming in the tongue, can be eliminated by brushing the tongue or using a scraper to remove bacterial buildup. Most people would just visit their dentists when a problem arises. Experts generally advise having your pearly whites checked twice a year to ensure their overall health. Depending on your dental health, we always advise our patients to follow the same guidelines to ensure that your teeth will stay as healthy as possible. Doing so would help our dentists focus on preventing problems rather than fixing them. Come and see us to get a healthier teeth and bright smile.